It should be a place to serve, give, worship, and meet with Jesus! 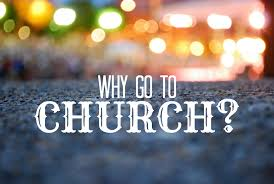 So, the first reason we should attend a local church is found here:Well, the first commandment in the Bible, is to love God with all of our hearts, minds, souls and strength. Jesus said, that if we love Him, we will obey His commandments. 1 Corinthians 12:28 And God hath set some in the church, first apostles, secondarily prophets, thirdly teachers, after that miracles, then gifts of healings, helps, governments, diversities of tongues. I used to think, that because I hold one of these gifts, that I needed to use it in the local church, yet I see that there are other battlefields Jesus has called me to, outside of the church walls. I attend my local church, but I am not called presently to serve there, as I am often travelling, writing, or creating something out of nothing, as Holy Spirit speaks and flows through me. 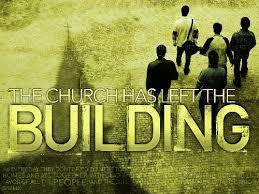 Yet, everything I do, is to build the kingdom of God, and strong local churches wherever possible. 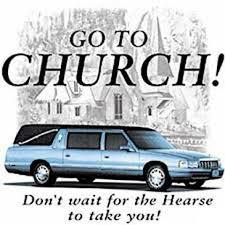 Generally though, you will find your place of purpose and service, in the local church, before God sends you out…. And if ye have not been faithful in that which is another man’s, who shall give you that which is your own? Knowing and flowing in your particular gift and calling is critical to finding peace with God and people, but there comes a point where we grow in our local church to the point where we attend to give, not merely to receive. Church should be a place to worship, serve, give, fellowship, pray and build a vision far greater than any one of us could build individually! 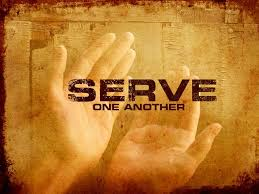 One of the ways we worship God is serving the people that He loves. See here, the Final Judgment of God, no appeals, no lawyers in each of our lives, the final court case. Matt 25:31 ¶ When the Son of man shall come in his glory, and all the holy angels with him, then shall he sit upon the throne of his glory: 32 And before him shall be gathered all nations: and he shall separate them one from another, as a shepherd divideth his sheep from the goats: 33 And he shall set the sheep on his right hand, but the goats on the left. 34 Then shall the King say unto them on his right hand, Come, ye blessed of my Father, inherit the kingdom prepared for you from the foundation of the world: 35 For I was an hungred, and ye gave me meat: I was thirsty, and ye gave me drink: I was a stranger, and ye took me in: 36 Naked, and ye clothed me: I was sick, and ye visited me: I was in prison, and ye came unto me. 37 Then shall the righteous answer him, saying, Lord, when saw we thee an hungred, and fed thee? or thirsty, and gave thee drink? 38 When saw we thee a stranger, and took thee in? or naked, and clothed thee? 39 Or when saw we thee sick, or in prison, and came unto thee? 40 And the King shall answer and say unto them, Verily I say unto you, Inasmuch as ye have done it unto one of the least of these my brethren, ye have done it unto me. 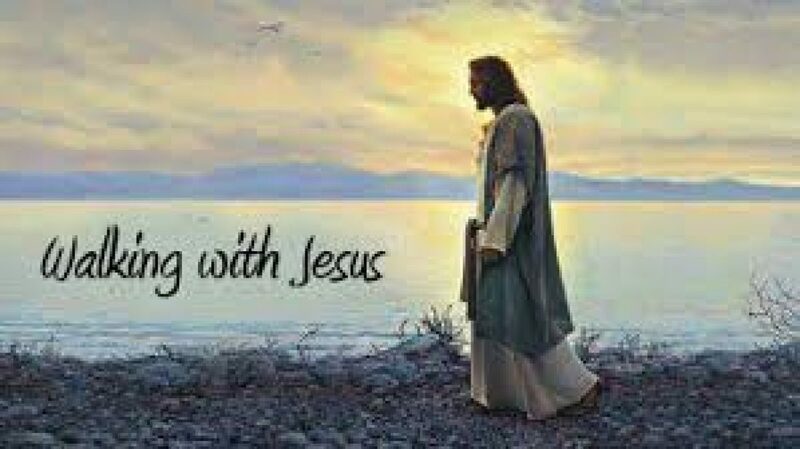 41 Then shall he say also unto them on the left hand, Depart from me, ye cursed, into everlasting fire, prepared for the devil and his angels: 42 For I was an hungred, and ye gave me no meat: I was thirsty, and ye gave me no drink: 43 I was a stranger, and ye took me not in: naked, and ye clothed me not: sick, and in prison, and ye visited me not. 44 Then shall they also answer him, saying, Lord, when saw we thee an hungred, or athirst, or a stranger, or naked, or sick, or in prison, and did not minister unto thee? 45 Then shall he answer them, saying, Verily I say unto you, Inasmuch as ye did it not to one of the least of these, ye did it not to me. 46 And these shall go away into everlasting punishment: but the righteous into life eternal. One of the ways we worship God is serving the people that He loves. Notice in this portion of Scripture, that Jesus says that one of the ways we will be accountable to God, eternally, is in our treatment of the poor and less fortunate in our midst. Saying we care, will not get us past this verse. No, to obey it requires action, and these actions constitute worship acceptable to God. Here’s another James 1: 27 Pure religion and undefiled before God and the Father is this, To visit the fatherless and widows in their affliction, and to keep himself unspotted from the world. Want to walk pure before God? Here’s something you can do that He will accept. Visit some single mom, and help out there, then stay clean before God. Love her children, help her with her responsibilities, then make sure you remain free from all of the games and sin that would try to drag you into the mess there. 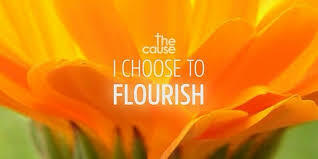 You are to be an agent of change there, for good, and God’s glory, not part of the problem. Of course, people living and serving Jesus together in the love of God, make a fun place to hang out: Acts 2:42 42 And they continued steadfastly in the apostles’ doctrine and fellowship, in the breaking of bread, and in prayers. 43 Then fear came upon every soul, and many wonders and signs were done through the apostles. 44 Now all who believed were together, and had all things in common, 45 and sold their possessions and goods, and divided them among all, as anyone had need. Psalm 122 [Full Chapter] I was glad when they said unto me, Let us go into the house of the Lord. Our feet shall stand within thy gates, O Jerusalem. Jerusalem is builded as a city that is compact together: God really is good, and Jesus really does love you! 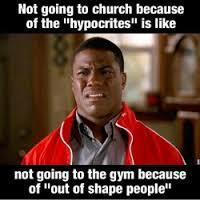 Here’s a great quote: Yet membership in a confessing body is fundamental to the faithful Christian life. Failure to do so defies the explicit warning not to forsake “our assembling together.” His understanding of this prompted Martin Luther to say, “Apart from the church, salvation is impossible.” Not that the church provides salvation; God does. 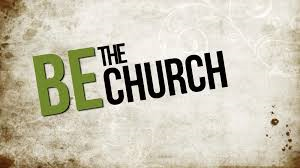 But because the “saved” one can’t fulfill what it means to be a Christian apart from the church, membership becomes the indispensable mark of salvation. “So highly does the Lord esteem the communion of His church,” Calvin wrote,” that He considers everyone a traitor and apostate from religion who perversely withdraws himself from any Christian society which preserves the true ministry of the word and sacraments.” Charles W. Colson, The Body, 1992, Word Publishing, p. 70. Like Nike says: Just Do it! Previous Previous post: NO BULL! A strong Man’s Gospel! Next Next post: AOMMinistries December Newsletter – Psalm 2:8 Ask of Me, and I will give the Nations!